Founded in Neenah, WI in 1872, Kimberly-Clark employs approximately 43,000 people worldwide and is a multi-national personal care corporation. While the company is now headquartered in Texas, Kimberly-Clark still has a major presence in Wisconsin, right in Endowment Wealth Management’s backyard in Appleton, WI. Our firm advises numerous current and former employees, so after scouring through the nearly 80 pages of documents and materials, I’ve compiled the 10 things that you must know about the Kimberly-Clark 401k. The better educated you are about your 401k benefits, the greater your chances of making smart decisions and achieving great retirement outcomes. For those readers who have found my site for the first time and don’t know much about me let me introduce myself. 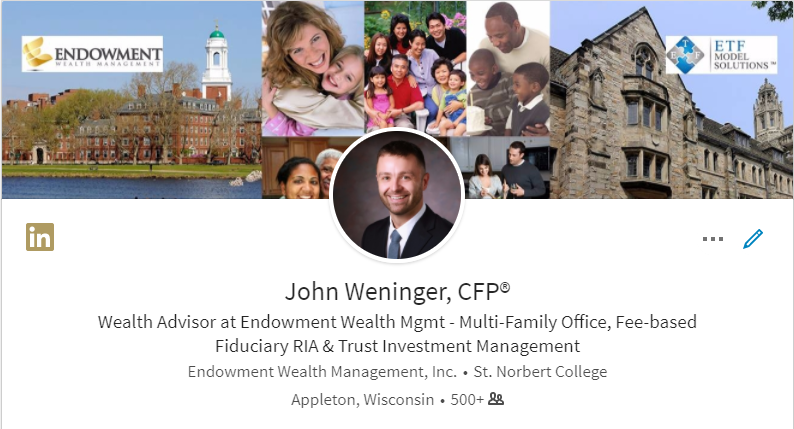 My name is John Weninger and I’m a fee-based fiduciary advisor at Endowment Wealth Management, a multi-family office, currently serving clients in 12 states. I don’t work for Kimberly-Clark or any affiliated companies nor do I receive any compensation from them. I have spent a great deal of time examining the summary plan descriptions and resources available to produce this review. Since I’m not tied to the company in any way, I offer an impartial and objective view. So let’s get at it! Here are 10 things you must know about the Kimberly-Clark 401k Plan. 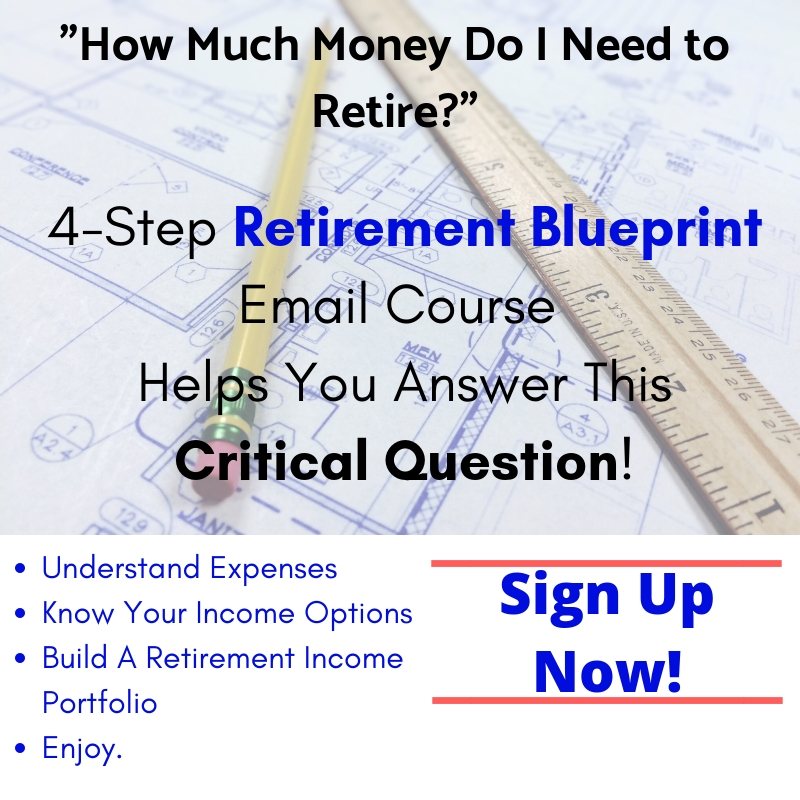 In 2018, you are allowed to contribute $18,500 into your 401k and if you are 50 or older you can contribute even more, an extra $6,000, or $24,500 total. The amount you choose to contribute from your paycheck can be either pre-tax, after-tax, or Roth contribution. The percentage of your paycheck you can contribute is from 1% to 50%. Kimberly-Clark will match 100%, dollar-for-dollar, on the first 4% of eligible earnings that you contribute. The profit sharing component is a discretionary (KC will decide) between 0% and 8% of your eligible earnings. When you contribute the full 4% and the company matches 4%, you essentially double your investment without taking any risk. A great deal! Pre-tax contributions – You defer paying taxes until the money is withdrawn later (usually in retirement). All contributions and earnings accumulate tax-deferred until withdrawn. Keep in mind that when you turn age 70 1/2 the IRS requires you to start distributing money from your pre-tax tax-deferred retirement accounts. After-tax contributions – Theses contributions are made on an after-tax basis. The investment earnings on your after-tax contributions will accumulate on a tax-deferred basis until they are withdrawn. Note! To help you fund your monthly investments, the Plan provides an “Automatic Flip” feature that you can turn on, which automatically switches your contributions from pre-tax to post-tax once you hit the annual pre-tax limit. You’re disabled (as defined in Internal Revenue Code Section 72(m)(7)) at the time you receive payment. Effective May 1, 2017 a Roth In-Plan Conversion allows for eligible Plan non-Roth balances to be rolled over to a designated “Roth In-Plan Conversion Account” within the Plan. Because you are essentially doing a “Roth Conversion”, you will pay income tax on the converted amounts. You can make the conversion at any time and the minimum amount is $1,000 per transaction. Make sure you consult your financial or tax professional so you know the current tax ramifications and long-term tax benefits! #3 Kimberly-Clark Shares The Company’s Profits With You! When K-C hits certain financial goals during the year, the company will make a discretionary contribution to the profit sharing accounts in a range from 0% to 8% of your eligible earnings, generally with an annual contribution targeted to average 4% over time. This is in addition to the company match on pre-tax contributions. The amount of the profit sharing contribution is determined each year based on an “earnings-per-share” goal and any other extraordinary circumstances that may have occurred during the year. The amount of profit sharing (if any) is determined each plan year at the sole discretion of Kimberly-Clark. #4 When Is The Money Is Yours (Vested)? Starting on May 1, 2017, the plan was amended to provide 100% immediate vesting in all of Kimberly-Clark contributions. Prior to May 1, 2017, the plan required two years of service to become vested in K-C contributions. This means that as soon as Kimberly-Clark contributes any matching funds to your account they are yours exclusively. A great benefit! Like many 401ks, your investment options in the Kimberly-Clark 401k are limited. There are 8 core index funds and 10 premixed target date funds. K-C also has a K-C Stock Fund that invests in company stock. Below is a review of the currently available eight core fund investment options. The premixed portfolios, or target date funds are a family of funds managed by BlackRock Institutional Trust Company, N.A., designed to have an investment allocation that corresponds with a certain year (2020, 2030, 2040, etc). There are 10 options in total. Generally speaking, the farther into the future the date (ex: 2060) the more the fund will be allocated towards equities. As the date draws nearer the fund typically will automatically invest less in equities and more into fixed type (bond) investments. I’m not a huge fan of target date funds and the automatic allocation changes. I think they are a bad deal. Currently, we are in a rising interest rate environment where the value of fixed rate investments will underperform as interest rates rise. So essentially, the target date fund is shifting investors funds into riskier investments as they get older. It’s counter-intuitive. If you have questions, call me! A key to investing your Kimberly-Clark 401k funds successfully is knowing your risk profile. Your “Risk Profile” is a measurement of your willingness to take risk with your investments. Technically speaking, we could define “risk” as the degree of variability or volatility in the investment returns you are willing to stomach. Investing has been compared to riding a roller coaster, how many ups and downs can you take and for how long? If your investment portfolio is out of alignment with your risk profile, you are eventually going to encounter greater volatility than you can stomach! Know your risk tolerance!! Obviously, when you measure something, you then know how to improve it! When was the last time you measured your personal risk tolerance? Use our free tool, called FinaMetrica, available for you to find out what your risk score is. Here’s the link. It’s an enlightening quiz and takes about 10 minutes to zip through. Give it a try! Taking a loan is a way for you to borrow from your 401k and repay yourself without incurring taxes and penalties. A loan from your Kimberly-Clark 401k is like any other loan. You’ll have to pay the principal and interest on a timely basis. There will be a Loan Agreement and Terms that you’ll need to agree to. Unlike other loans, if you default (don’t pay) your loan becomes a taxable distribution from the Plan and subject to taxes and penalties. It’s important to not that generally speaking only actively employed individuals are eligible to take a loan. That means terminated employees, retirees, and alternate payees (not the employee) are generally not eligible to take a loan. Also note, a participant with a pending Qualified Domestic Relations Order, or QDRO (divorce), isn’t eligible for a loan until the QDRO is settled. $50,000.00 max, reduced by your highest outstanding loan balance during the last 12 months. The minimum amount is $1,000 and maximum amount is $50,000. You can only have one outstanding loan at a time. General Purpose: This loan can be for any purpose other than the purchase of a primary residence. This type of loan must be repaid within a maximum of four years from the date of the loan. When you request the loan, you must specify how many years, from one to four, over which you’d like to repay. Primary Residence: This loan is for the purchase or construction of your primary residence (excluding mortgage payments). It must be repaid within a maximum of 10 years from the date of the loan. When requesting a Primary Residence Loan, you must specify how many years, from one to ten, over which you’d like to repay. Your loan from the Kimberly-Clark 401k plan must be repaid with interest as stated in the loan terms and conditions. The interest rate on a loan made during a month with be the prime interest rate plus 1% that’s published in the Wall Street Journal on the first business day of that month. The rate remains fixed over the life of the loan. Loan payments are made automatically on your paycheck through after-tax payroll deductions. If you miss any loan payments, the deductions are taken from future paychecks. You can always prepay or pay off your loan balance and accrued interest at any time. With a 401k loan, you are your own bank! Remember, you are paying YOUR 401k the interest rate on the loan, which currently may provide a better interest rate than the fixed income options in the plan. On top of that, you’re not paying a bank or credit card company a higher rate of interest, which is not even tax deductible. If you have questions, call me! If you decide you want to reallocate your eligible plan balance, you can do so daily on a percentage basis. To make a reallocation, you elect the percent of your eligible plan balance you want to allocate to each investment fund. In other words, you elect how much of your eligible balance, by percentages, you want to be invested in each fund. For example, you may decide you want to reallocate 50% of your eligible balance to the Large Cap Stock Index Fund, 20% to the Bond Index Fund, 15% to the Small Cap Index Fund, and 15% to the International Index Fund. The sum of the percentages allocated to all of the funds must equal 100%. You can also exchange a specific dollar amount or specific percent of one fund directly to any of the other eligible funds. For example, let’s say you want to move some of your Large Cap Growth Stock Index Fund balance into the Large Cap Value Stock Index Fund and the International Index Fund. Determine how much of an investment you want to reduce. For example, you wish to move 70% of your Large Cap Growth Stock Index Fund out of that fund. Move these funds to one or more new investments. For example, you could elect to put 20% of that amount into the International Index Fund and 80% into the Large Cap Value Stock Index Fund. The percentage must equal 100%! If percentages give you a hard time, you can also make your exchange election in dollar amounts rather than percentages. Over time, equity markets tend to grow faster than other markets. This growth can lead to an imbalance of your account. You’ll want to periodically rebalance your account to the allocation that matches your risk profile. (Remember your profile from above?) The rebalance notification is a great service, which proactively notifies you when your account has strayed from your desired investment allocation. Once you enter your desired investment allocation, you can choose the percentage – 5%, 10%, 15% – by which any investment in your account can vary before you are notified that it’s time to consider rebalancing. You’ll get an email directly to your inbox that contains a link to the rebalance service. If you decide not to rebalance, you’ll receive another notification 3 months later. Staying within your desired asset allocation can help you avoid surprise fluctuations in your account values as the markets go up and down. Remember, this forces you to sell high and buy low! I would think the 5% variation is a good place to start. Call me to discuss! You can take regular withdrawals (not Hardship Withdrawals) from the accounts shown in the table below. You may request Roth Withdrawals (not Hardship Withdrawals) from the accounts shown in the table below. If you find yourself in a family emergency or needing money and have exhausted other options, you may request a Hardship Withdrawal. You may request a Hardship Withdrawal if you’re an active employee, from your Pre-Tax and RIPC Restricted I Account before age 59 1/2 only in the event of a financial hardship, as defined by the Internal Revenue Code and the Plan. Hardship Withdrawals are made in cash only and are only allowed when you have an immediate and heavy financial need. Before you can make a Hardship Withdrawal, you must first withdraw all other amounts available under the plan and take advantage of all Plan loan provisions (unless you certify that you’re enable to pay back a loan). Remember, a 401k loan is a great first option because they do not cause taxable income unless you fail to repay! Call me to discuss! You have a few different options when you leave your job at Kimberly-Clark. If your 401k balance is greater than $5,000, you can choose to leave your balance within the plan. A popular option is to roll your old 401k over into an Individual Retirement Account, or IRA. I wrote a blog about how to properly rollover a 401k, which you can find here. You can roll your Kimberly-Clark 401k into your new company 401k (if the new company 401k plan allows it). You also have the option to cash out. Generally, this is a terrible option because you will immediately owe tax on the amount distributed. Having nearly unlimited investment choices, capability to control your own investments, and the potential to work with a fee-based, fiduciary advisor makes rolling your old Kimberly-Clark 401k into an IRA an attractive option. Of course you have to analyze each option before picking which is best for you. Have Questions About Your Kimberly-Clark 401k? If you know of anyone who works at this company and might benefit from this educational review, please share this post with them. Doing so might just save them a whole lot of time and trouble as well! If you have a LinkedIn, Facebook or Twitter account you can click on any of the icons to the left to share this article. That way more people will be able to find and hopefully benefit from learning the 10 things you must know about the Kimberly-Clark 401k plan. Request a FREE Wealth Discovery Meeting with John!